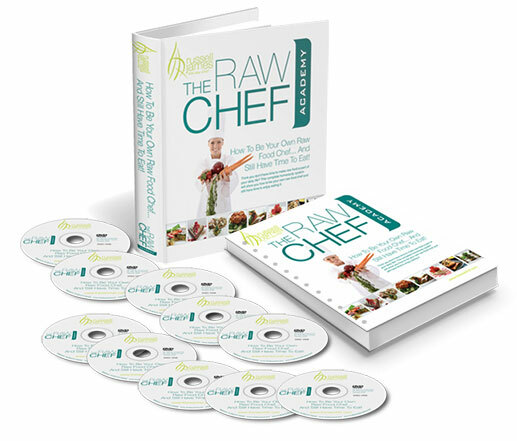 Raw Chef Home Study Course | Shop Our Store! Only the best handpicked products! If you really care about your health, it's my contention that you have to learn how to prepare food whether or not you're going to eat it raw or cooked. What I LOVE about this program is how professional the video quality is. The Raw Chef Program teaches you how to make pizza, pasta, breads, wraps, salads, deserts, ice creams, shakes, smoothies, soups, fermented foods and so much more. Not only does it teach you these things but it does so in a way that's easy and not time consuming. You'll get downloadable PDF recipe guides along with full feature video presentations walking you through step by step how to prepare delicious raw food without spending hours in the kitchen. I own it and it's just amazing. This course put together by Russell James has over 13 hours of professional quality video from multiple camera angles, and professional lighting takes your hand and walks you through everything you need to make deliciously healthy raw foods with time to spare. 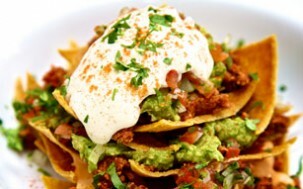 It also comes with a 140 page binder with all the recipes in colorful detail. The videos are accessable online or via DVD’s that can be sent to your home. 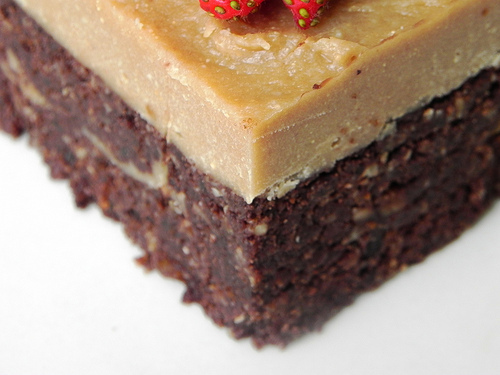 It’s a 10 week course that makes making raw food fun and enjoyable. Learn how to setup your kitchen for maximum time savings. Remove the obstacles that prevent you making food for yourself. How to get ahead and set yourself up for success. Take an exclusive look inside my cupboards, fridge and freezer, so you can set yours up in the same way. How to create amazing salad dressings from what you have in the fridge. My formula for creating salad dressings, so they are balanced in flavour every time. You’ll learn how to make amazing ‘salad extras’ that can me made ahead of time, which will turn a ‘salad’ into a quick and easy filling and satisfying meal. Getting best use from your mandoline to make all your cuts look professional. How to make amazing sauces with flavours that burst. How to make quick and simple versions of recipes, and also versions that will impress guests at a dinner party. Russell James selected some ‘main dishes’ or ‘entrees’ that will teach you not just how to make them, but you’ll also learn essential techniques that can be used in your own recipes. How to sprout buckwheat perectly for things like pizza bases, so you serve delicous, slightly moist pizza bases, not just dehydrated crackers. In one of only a few recipes that use young coconut, you’ll learn how to blend it and produce beautiful wrappers that can be used in a variety of ways. How to take your health to the next level with fermented foods. How to get kefir and kombucha fizzy. How to flavour kefir and kombucha with delicious flavours that kids will also love.How to make sauerkraut that doesn’t go mouldy, without buying any special equipment. How to make a cahsew cheese that you can ‘age’ that will actually slice like cheese. How to culture cheeses, so you don’t have to rely on nutriional yeast to immitate that flavour. How to use almonds, cashews and macadmias in cheeses, and how to make substitutions. 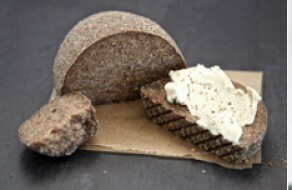 How to make nut-free bread to make sandwiches that can be frozen and thawed when needed. Making this bread once every couple of weeks will mean you can have a beautiful raw sandwich when needed. How to make spongy garlic bread that goes amazingly with the cheeses you’ll learn about in this course. Which is better, green juices or green smoothies? What exactly is a green smoothie? How to make nut and seed milks and how to keep them fresh. 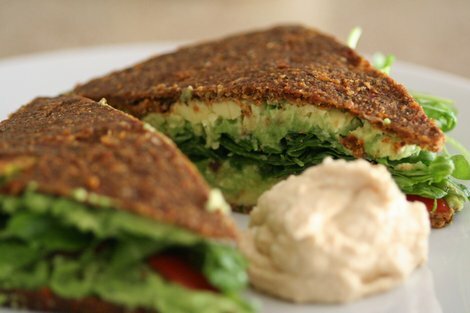 Learn how to use just the right amount of flax seed to create a pliable wrapper, that you can fill with a whole variety of fillings for a delicous lunch. How to use butter lettuce and nori for a quick and simple wrap that doesn’t need any dehydrating. 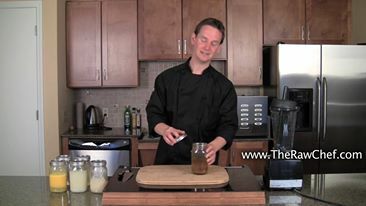 How to make sauces and dips for your wraps, that can also be made into salad dressings. Learn how to make preserved lemons that can be kept for months, and will not only make your sushi pop, but can amazing flavours to salads too. Learn how to make picked ginger that adds a finishing touch to your sushi.Learn how to make a raw rice from parsnip, jicama or cauliflower that is fresh, filling and satisfying. Learn how to professionally roll ‘truly raw sushi’ using a rolling mat. Ciya Shop is an enchanting and easy to use e-Commerce WP theme that allows you to sell your products in a dynamic way. CiyaShop is an enchanting and easy to use e-Commerce WP theme that allows you to sell your products in a dynamic way. The theme is packed with everything you need to create a new website.